Provides complete venous access for IV therapy and phlebotomy, plus sites for intra-muscular and intradermal injections. 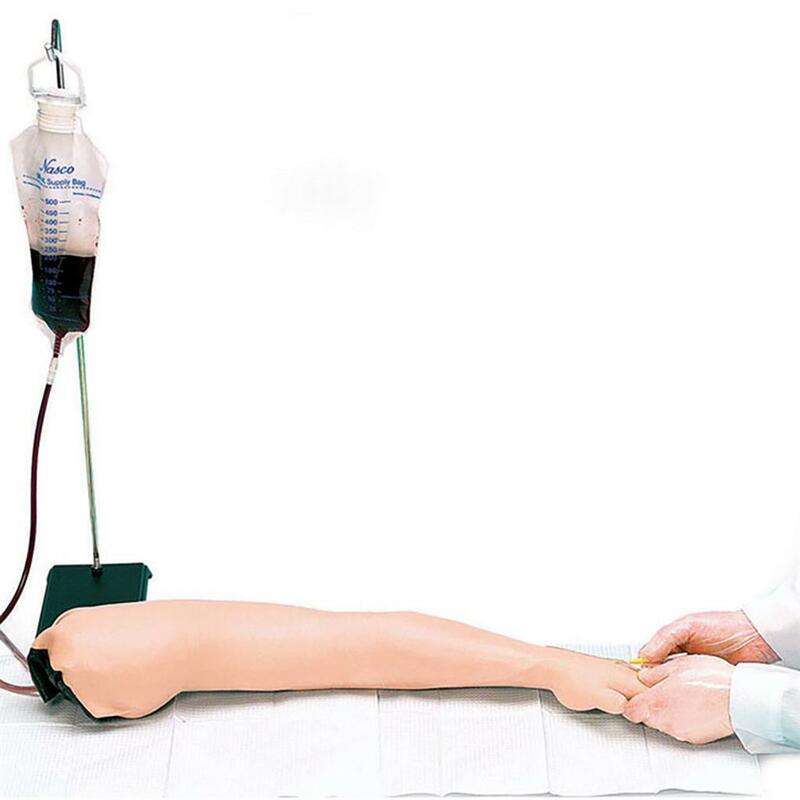 An extensive 8 line vascular system allows students to practice venipuncture at all prinary and secondary locations including starting IV's and introducing Over the Needle IV Cathethers. The deltoid muscle is enhanced by the soft ,lifelike skin and by the natural bony landsmarks in the region. Intradermal injections of a specifically supplied fluid will create characteristic skin welts at designated sites on the upper arm. Includes 2 quarts of simulated blood,3cc syringe,12cc syringe,needle ,two fluid bags,instruction manual and carrying case.